Welcome to the Gao Research Group at Caltech! The Gao Research Group at the California Institute of Technology is a highly interdisciplinary research team devoted to developing versatile bioelectronic devices for fundamental and applied biomedical studies. Our research thrusts include fundamental materials and chemistry innovations as well as important device and system level applications toward personalized and precision medicine. We create and apply the innovative devices to understand the complex biological systems. Some examples of our devices include wearable/portable biosensors that perform real-time health monitoring and clinical assessment, and medical micro/nanorobots that offer the therapeutic capability of rapid drug delivery and precision surgery. We always welcome talented postdoctoral and graduate candidates. Caltech graduate students from any related program (including MedE, EE, BioE, APhMS, ME, ChemE, Chem, and others) interested in research opportunities with the laboratory should contact prof. Gao for an appointment to discuss available projects. Graduate candidates at all other universities are welcome to contact prof. Gao and need to apply for admission to Caltech. We always welcome dedicated undergraduate researchers for research during the school year or in the summer (through SURF, WAVE and Amgen Scholars programs). Interested students are encouraged to contact prof. Gao. 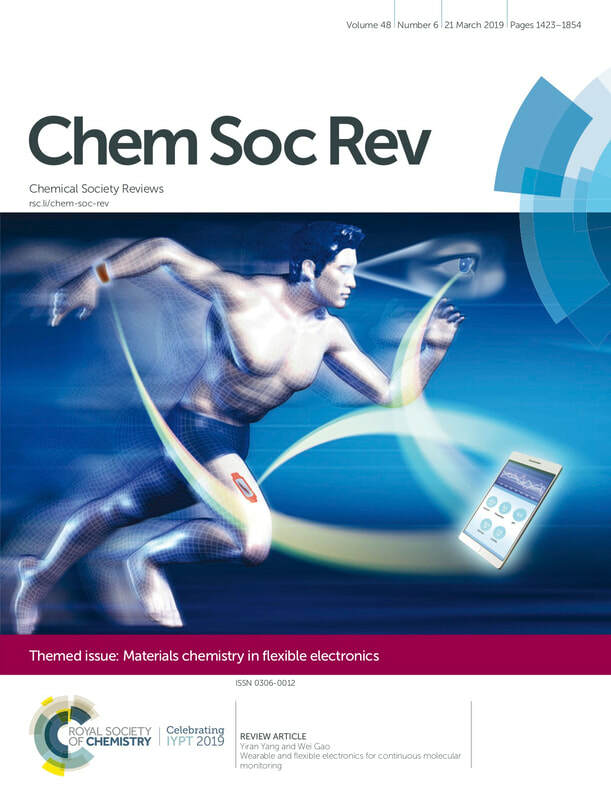 Mar, Yiran's paper was featured on the Front Cover of Chemical Society Review. Mar, Wei gave an invited talk at Pittcon 2019 - ACS Sensors Symposium. Feb, Wei gave a plenary talk at AACR conference - Modernizing Population Sciences in the Digital Age. Jan, Wei was selected as a member of the Global Young Academy. Dec 11th, Wei gave an invited talk in IEEE MNM 2018. Nov 28th, Wei gave two invited talks in MRS Fall meeting. Nov 13-16th, Wei gave invited seminars at Caltech IST, UC Riverside (BioE) and Washington University in St. Louis (ESE). Oct, Wei gave a keynote talk in SES 2018. Sep, welcome Changhao, Jihong, Jiaobing, Yu, Min-Qiang and Xiangjie to join the group. June, Wei was selected to the Interstellar Initiative (the New York Academy of Sciences). He and his collaborators won Outstanding Team Presentation Award (first place in Neuroscience). May, Wei gave invited seminars at City of Hope, Cedars Sinai Medical Center and Caltech Materials Science. March 5th, congrats to Yiran (Isabella) for her paper being accepted to Chemical Society Review. Feb 26th, Wei won 2018 Sensors Young Investigator Award. Dec-Feb, welcome You, Adam, So-Yoon, Rebeca, Joanna and Zhiguang to join the group! Nov 13th, Wei gave an invited seminar in Birck Nanotechnology Center at Purdue University. Sep-Oct, welcome our first graduate student Yiran (Isabella) and undergraduate researchers Rohan and Adrian to join the group! ​August, Wei joined California Institute of Technology as an assistant professor of Medical Engineering in EAS Division. Jan 27th, the sweat sensor paper was published in Nature. It was reported around the world by Nature, Science, The Wall Street Journal, New York Times, Time, Daily Mail, The Times, LA Times, Newsweek, Forbes, Scientific American, IEEE Spectrum, MIT Technology Review, Fox News, Wired, Popular Science, New Scientist, San Francisco Chronicle and UC Berkeley News. See News.